At BASI, we’re your dedicated bathroom planner. From the initial survey, to design and installation, our knowledgeable team will guide you through the entire process. Simply browse through our gallery for some ideas and arrange a survey from the comfort of your home. 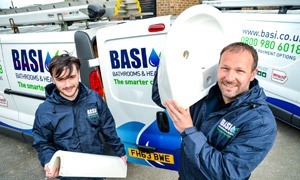 Your dedicated BASI bathroom planner will do the rest of the work for you. 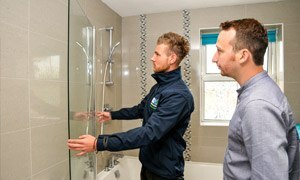 We’re independent Yorkshire bathroom planners and suppliers with a fuss-free attitude to installation. Every bathroom we install comes with a 25-year manufacturer’s warranty plus, a two-year workmanship guarantee. We’ve been consistently awarded 5 stars for our service by homeowners across Yorkshire, and beyond. Simply put, outstanding customer service is what we do. But don’t just take our word for it! Read what our customers have to say about us on review site, Trustpilot. Are you looking for a company that takes the hassle out of bathroom planning and installation? Well, that’s exactly what we do. We’ve spent a lot of time refining our process to make it as simple as possible for you – it’s the BASI way of doing things. Have you looked at our hand-selected range? Choose from beautiful styles, including smart contemporary and classic luxury. 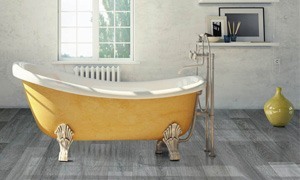 Discover your ideal bathroom design today.